3. 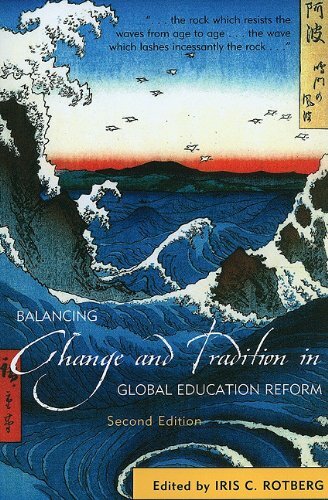 Global Climate Change and U.S.
"Balancing Change and Tradition in Global Education Reform" couldn't have come at a more propitious moment.Demands for American schools to reinvent themselves are invariably accompanied by references to international test scores that show our students performing poorly compared with their peers from other countries.The collection of essays in this book edited by Iris C. Rotberg shows the dangers of generalizing about educational quality based on the headlines in the evening news. What Rotberg's careful selection of authors underscores is that each country has its own set of values, choices and societal pressures.While it's tempting to try to transfer a particular model of education to the U.S., or -- by extension -- to any other country, it will not likely be successful.That's because an education system reflects the totality of a country's unique culture and history. It's too bad that Bill Gates didn't read Rotberg's book before addressing the recent National Governors Association.If he had, he'd want to revise his remarks. Global Mind Change is the concept the post-industrial revolution era has opened a huge increase in productivity to the point where the essentials of life are easily provided by society.Instead caring for the Earth, the primary elite are exploitative corporations who sacrifice long term planetary health for a short term profit.The reason for this is linked to a reductionist world view, where numbers and classifications are more important than consciousness and human beings.The Why's of the reductionist worldview (M1) are examined in the context of fundamental assumptions behind science and the purpose of science.Global Mind change seeks to redefine fundamental assumptions, or provide a fresh look at them, for a better future. It's not a hippy book.The biggest thing I 'got' this time was the levels of science -- Physical Science, Life Sciences, Human Sciences, and Spiritual Sciences.The modern westernized science does not value consciousness or emotions (human or spiritual sciences), meaning reductionist 'put a monetary value on everything' trumps future generations, long-term survival, and intangible values. The books says 'stop and look at nonsensical behavior before you ruin the Earth. 'Those fundamental assumptions include profiteering ethics fighting/overwhelming good science, and that a consumption based throw-away society is inherently superior to a 'make things which last' creative society.What struck me as odd is the author is unaware of the 'Tragedy of the Commons' concept, which greatly helps/compliments their thesis. Perennial Wisdom (i.e. overwhelming empirical evidence regarding human and spiritual sciences which modern science ignores) is examined and not dismissed.Global Mind Change uses a bottom-up approach in examining the flawed methodology of the current M1 (matter giving rise to mind) metaphysics underlying Western science and proposes a shift to M3 (Transcendental Monism, mind giving rise to matter).I did not agree with this conclusion, and I do not understand why the author is not promoting an M2 model (Dualism, matter plus mind). The book does a wonderful job of analyzing the history of M1, including covering the light wave vs. light particle debate and how Europeans science leaders trashed their meteor specimens in the 1700's because they decided 'space rocks' were like angels and elves.My point is, the author takes a deliberate stand that a dual approach is best for understanding the world.The light-as-particle model is valid, but so is the light-as-wave model, and the end result is a complimentary modeling with greater understanding.While the author covers the flaws in M1, they ignore the flaws in M3 (to find those flaws examine historical India or even a contemporary Islamic theocracy). While I appreciated the well constructed analysis, I found it fights for the wrong conclusion (M3 vs M2).It does not distinguish 'a move towards M3' and M3 itself.Overall, an enjoyable, thinking book I did not entirely agree with. This book is essential reading for anyone thinking about any major transformation in our society...Harman nails the key to any major shifts, changing the way we humans think. It reminds me of Einstein's warning that we'll never solve our problems using the same consciousness with which we created them. This book, in advance of all others, has served to inspire my own work including ten books and many articles. From Galileo to the Wright Brothers, mankind's most significant scientific discoveries have come from thinkers who challenged the assumptions of the day, often earning the scorn - or worse - of their contemporaries. Esteemed futurist Willis Harman reminds us of this fact early and often in the second edition of Global Mind Change, which is enhanced by a foreword by acclaimed author, Hazel Henderson, but otherwise maintains the original's insights and flaws. In terms of insight, Harman speaks eloquently about the changes in human perspective that accompanied - and he says ultimately caused - such radical shifts as the fall of the Roman Empire and the demise of slavery in the United States. He extends this analysis to modern scientific thought, which he identifies as a societal foundation currently in the first stages of a paradigm shift in which many concepts now viewed as "New Age" will gain acceptance. We [...] recommend this book to any armchair futurist, but urge all readers to bear in mind one caveat: For every free thinker who upended science with brilliant insight, there have been untold thousands of quacks, madmen and charlatans. This is a wonderful indictment of the Western scientific tradition, less comprehensive than Voltaire's Bastards but more readable and more focused as a result.The author shows a clear connection between existing global problems (ethnic violence, water scarcity, pollution, poverty, criminalization of society) and the earlier Western decisions to adopt scientific objectivity (with all of its inherent bias and ignorance) as well as the primacy of economic institutions such as have given rise to the consumerist society, regardless of the external diseconomies, the concentrations of ill-gotten wealth, and the cost to the earth resource commons.The author is especially strong on the need to restore sprituality, consciousness, and values to the decision-making and information-sharing architecture of the world--only in this way could community be achieved across national and ethnic and class lines, and only in this way could environmental sustainability and justice (economic, social, and cultural) be made possible.This is not a "tree hugger" book as much as it is a "master's class" for those who would be master's of the universe.It is a very fine portal into the growing body of people who wish to be cultural creatives, and easily one of the guideposts toward the next major paradigm shift, away from scientific materialism and toward a new communitas in which people really matter. Global environmental change represents an immediate and unprecedented threat to the food security of hundreds of millions of people, especially those who depend on small-scale agriculture for their livelihoods. 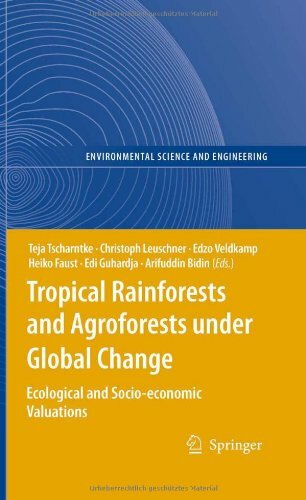 As this book shows, at the same time, agriculture and related activities also contribute to climate change, by intensifying greenhouse gas emissions and altering the land surface. Responses aimed at adapting to climate change may have negative consequences for food security, just as measures taken to increase food security may exacerbate climate or other environmental change. The authors show that his complex and dynamic relationship between climate change, agriculture and food security is also influenced by additional factors. Agricultural and food systems are heavily influenced by socioeconomic conditions, which in turn are affected by multiple processes such as macro-level economic policies, political conflicts and the spread of infectious diseases. In recent years, scholars in international relations and other fields have begun to conceive of security more broadly, moving away from a state-centered concept of national security toward the idea of human security, which emphasizes the individual and human well-being. Viewing global environmental change through the lens of human security connects such problems as melting ice caps and carbon emissions to poverty, vulnerability, equity, and conflict. 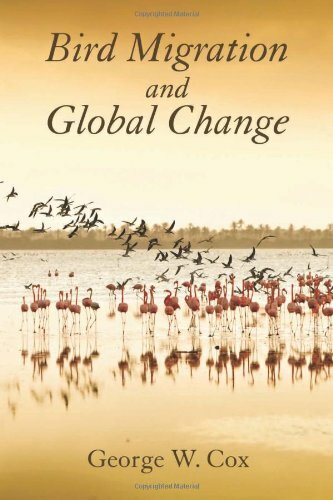 This book examines the complex social, health, and economic consequences of environmental change across the globe. 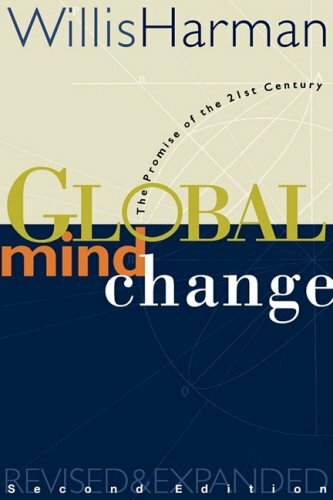 In chapters that are both academically rigorous and policy relevant, the book discusses the connections of global environmental change to urban poverty, natural disasters (with a case study of Hurricane Katrina), violent conflict (with a study of the decade-long Nepalese civil war), population, gender, and development. 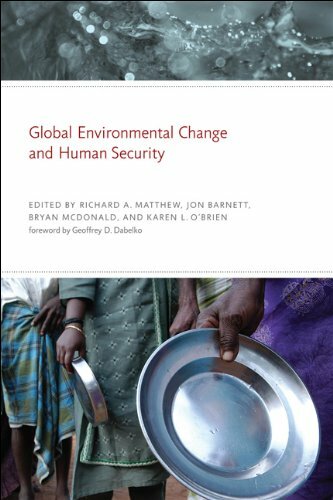 The book makes clear the inadequacy of traditional understandings of security and shows how global environmental change is raising new, unavoidable questions of human insecurity, conflict, cooperation, and sustainable development. 7. A Kids' Guide to Climate Change & Global Warming: How to Take Action! by Cathryn Berger Kaye M.A. 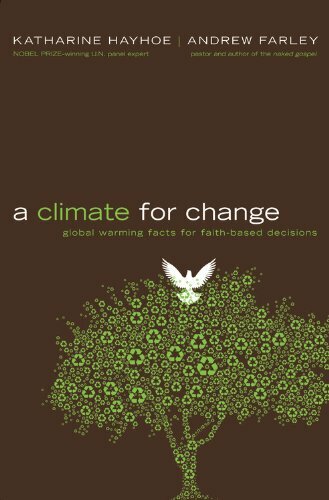 Carbon footprints, alternative energies, deforestation, and water conservation are just some of the issues related to climate change and global warming addressed in this book. Kids explore what others in the world have done and are doing to address the problem, find out what their own community needs, and develop a service project. Includes facts, quotations, real-life examples, write-on pages, resources, a note to adults—and a lot of inspiration to get out there and make a difference. This hands-on student workbook can be used as a stand-alone book or in conjunction with the The Complete Guide to Service Learning. Part of an ongoing series that includes A Kids’ Guide to Hunger & Homelessness, A Kids’ Guide to Helping Others Read & Succeed, and A Kids’ Guide to Protecting & Caring for Animals. "A Kids' Guide to Climate Change and Global Warming" is a recent workbook for kids in grade 6 and up in the How To Take Action! series. 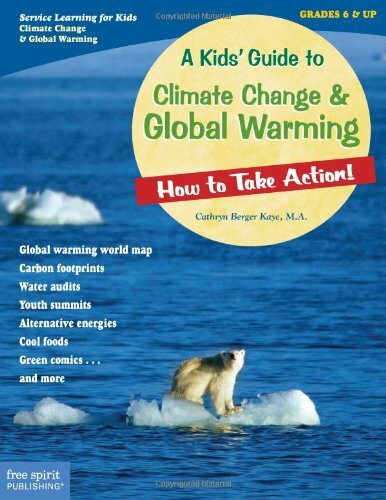 It contains a global warming map, carbon footprints explanation, water audits, youth summits, alternative energies, cool foods, green comics and much more to empower kids to take action to reduce or end global warming. 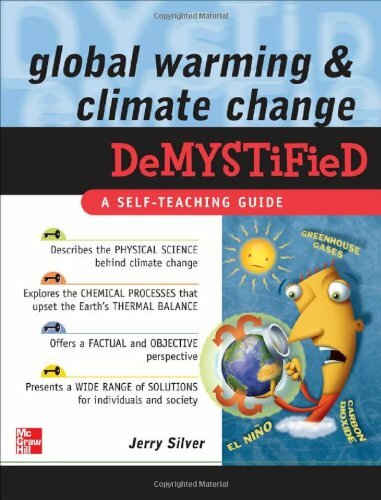 Providing step by step suggestions for effective activities, "A Kids' Guide to Climate Change and global Warming" is a fine educational tool for young student environmental activists. Terrestrial carbon balance is uncertain at the regional and global scale. A significant source of variability in mid-latitude ecosystems is related to the timing and duration of phenological phases. Spring phenology, in particular, has disproportionate effects on the annual carbon balance. However, the traditional phenological indices that are based on leaf-out and flowering times of select indicator species are not universally amenable for predicting the temporal dynamics of ecosystem carbon and water exchange. Phenology of Ecosystem Processes evaluates current applications of traditional phenology in carbon and H2O cycle research, as well as the potential to identify phenological signals in ecosystem processes themselves. 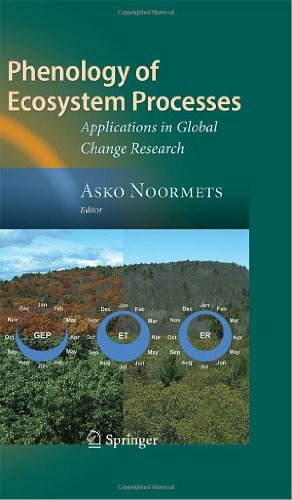 The book summarizes recent progress in the understanding of the seasonal dynamics of ecosystem carbon and H2O fluxes, the novel use of various methods (stable isotopes, time-series, forward and inverse modeling), and the implications for remote sensing and global carbon cycle modeling. Each chapter includes a literature review, in order to present the state-of-the-science in the field and enhance the book’s usability as an educational aid, as well as a case study to exemplify the use and applicability of various methods. Chapters that apply a specific methodology summarize the successes and challenges of particular methods for quantifying the seasonal changes in ecosystem carbon, water and energy fluxes. The book will benefit global change researchers, modelers, and advanced students. Changes in seasonal movements and population dynamics of migratory birds in response to ongoing changes resulting from global climate changes are a topic of great interest to conservation scientists and birdwatchers around the world. Because of their dependence on specific habitats and resources in different geographic regions at different phases of their annual cycle, migratory species are especially vulnerable to the impacts of climate change. In Bird Migration and Global Change, eminent ecologist George W. Cox brings his extensive experience as a scientist and bird enthusiast to bear in evaluating the capacity of migratory birds to adapt to the challenges of a changing climate. Cox reviews, synthesizes, and interprets recent and emerging science on the subject, beginning with a discussion of climate change and its effect on habitat, and followed by eleven chapters that examine responses of bird types across all regions of the globe. The final four chapters address the evolutionary capacity of birds, and consider how best to shape conservation strategies to protect migratory species in coming decades. The rate of climate change is faster now than at any other moment in recent geological history. How best to manage migratory birds to deal with this challenge is a major conservation issue, and Bird Migration and Global Change is a unique and timely contribution to the literature. Considers all six aspects of the cryosphere – ice sheets, glacier ice, permafrost, river and lake ice, sea ice and snow – in the context of global environmental change driven by human activity and climate. Mountain regions occupy about a quarter of the global terrestrial land surface and provide goods and services to more than half of humanity. Global Environmental Change threatens the integrity of these systems and their ability to continue providing the goods and services upon which humanity has come to depend. 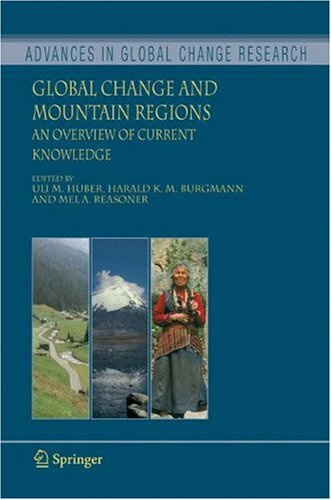 This book provides an overview of the state of research in the various fields pertaining to the detection, understanding and prediction of global change impacts in mountain regions. 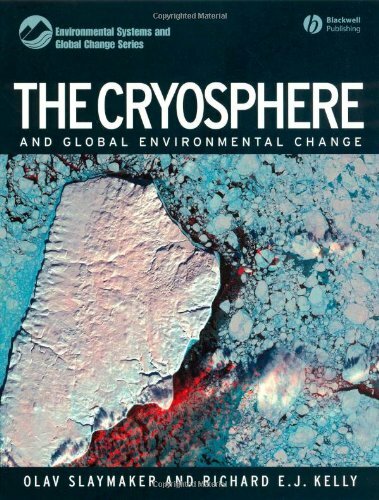 More than 60 contributions from paleoclimatology, cryospheric research, hydrology, ecology, and research on sustainable development are compiled in this volume, and each contribution also provides an outlook on future research directions. The essays in Global Social Change explore globalization from a world-systems perspective, untangling its many contested meanings. This perspective offers insights into globalization's gradual and uneven growth throughout the course of human social evolution. In both newly written essays and previously published articles from the Journal of World Systems Research, the contributors employ historical and comparative social science to examine the development of institutions of global governance, the rise and fall of hegemonic core states, transnational social movements, and global environmental challenges. They compare post--World War II globalization with the great wave of economic integration that occurred in the late nineteenth century, analyze the rise of the political ideology of the "globalization project" -- Reaganism-Thatcherism -- and discuss issues of gender and global inequalities. GLOBAL SOCIAL CHANGE: HISTORICAL AND COMPARATIVE PERSPECTIVES is a top pick for college-level holdings strong in international social studies: it brings together senior sociologists and younger scholars to blend expertise and focus, offering up new methods of thinking about and studying global social change. 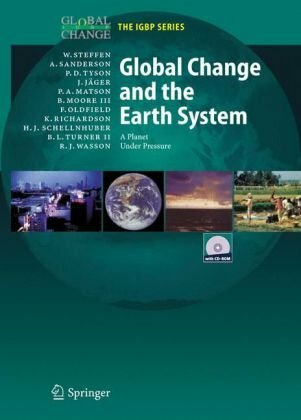 The combination of newly written works just for this volume and previously published articles from the Journal of World-Systems Research offers a satisfying blend of historical and social science analysis, comparing globalization movements, economic and social integration, and political ideology alike - perfect also for classroom discussion. 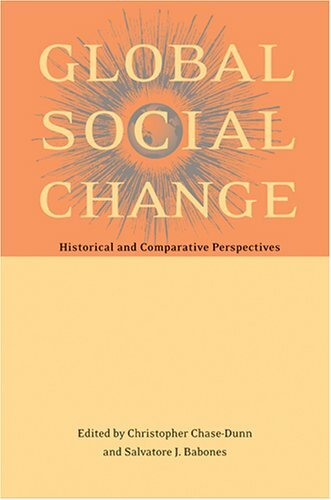 "Development and Social Change is a richly described and well written survey of change in the post-1950 period...The first edition was a practical and accessible contribution to the literature on social change. The fourth edition continues in this vein." 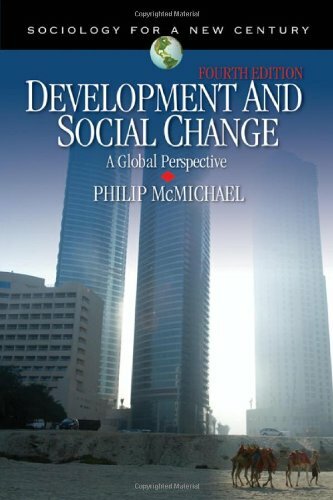 Development and Social Change: A Global Perspective, Fourth Edition, describes the dramatic acceleration of the global and political economy across three historical periods: colonialism, the development era, and the current era of globalization. Author Philip McMichael helps students make sense of a complex world in transition and explains how globalization became part of public discourse. 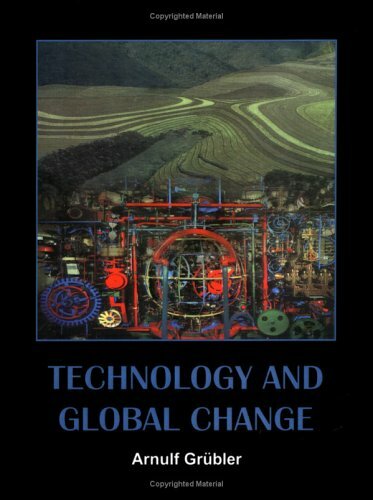 Filled with case studies, this text makes the intricacies of globalization concrete, meaningful, and clear for students and moves them away from simple social evolutionary views, encouraging them to ponder social change, development, and global inequalities. The book challenges students to see themselves as global citizens whose consumption decisions have real implications. Instructors Resources on CD are available to qualified instructors. Contact info@sagepub.com or 1-800-818-7243 (6 am - 5 pm, PT) to request a copy. A fantastic introduction to a holistic view of global development. This book covers global development from colonialism, to 'de-colonization' to globalization in a truly holistic sense. With a background in economics and a special interest in food systems, McMichael is truly informed in his analysis of the global power structure and how it has developed through time. Not ignored are studies of inequalities of race/ethnicity, gender, and class on a global scale. The book is slow reading, due to density of the subject matter and large amounts of facts and terms. However, this only serves to intensify and broaden the learning experience as you move through the book. It moves chronologically through time, offering case studies, further reading at the end of each chapter, and questions to promote critical thinking. This is one of the most fantastic books I have ever read, and he is one of the most informed, passionate, honest, and blunt professors I have had. The book itself is a textbook, and should be read as such. Some accuse him of political leanings, and though surely he may have them in his personal life, his abilities to display just the facts is noteworthy. Every future CEO, Banker, Politician, Lawyer, and member of the Global South would benefit from reading this book. Fair trade and social change for just under 50$ a copy! McMichaels book on globalization is a collection of gross overstatements, dubious statistics and figures (nearly always mentioned without citations) and embarrassing generalizations, poor writing and an absence of wit or even insight.Possibly one of the worst things I've ever been assigned to read- so bad in fact, I was inspired to write my first ever online review.That said, global economics and the structural orchestration of inequality associated with today's neoliberal economic development is a fascinating topic, certainly deserving of our attention.With some organization, a writing class or two, a solid editor, and maybe a class in academic research methods, McMichael may yet have a future in Academia.In the mean time, skip this one and find something else (Harvey) more worthwhile. Usually professors who assign their own book for a class tend to be egotists.McMichael bucked that trend, however, by assigning his book which explained everything I ever needed or wanted to know about how the world works.The structure of the book makes it easy for anyone to understand and explains the state of the world today using historical context, which I found fascinating.However cheesy this may be, I honestly think the world would be a better place if more people read this book. Global Change and the Earth System describes what is known about the Earth system and the impact of changes caused by humans. It considers the consequences of these changes with respect to the stability of the Earth system and the well-being of humankind; as well as exploring future paths towards Earth-system science in support of global sustainability. The results presented here are based on 10 years of research on global change by many of the world's most eminent scholars. This valuable volume achieves a new level of integration and interdisciplinarity in treating global change. Land has long been overlooked in economics. That is now changing. A substantial part of the solution to the climate crisis may lie in growing crops for fuel and using trees for storing carbon. 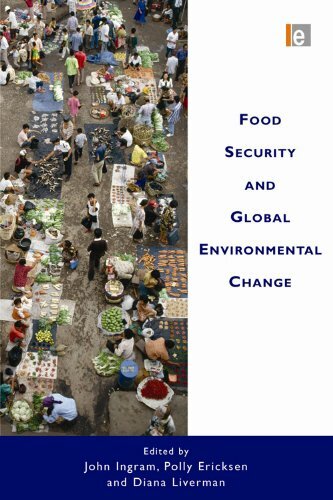 This book investigates the potential of these options to reduce greenhouse gas emissions, estimates the costs to the economy, and analyses the trade-offs with growing food. The first part presents new databases that are necessary to underpin policy-relevant research in the field of climate change while describing and critically assessing the underlying data, the methodologies used, and the first applications. Feedback from changes in the global climate to land use. 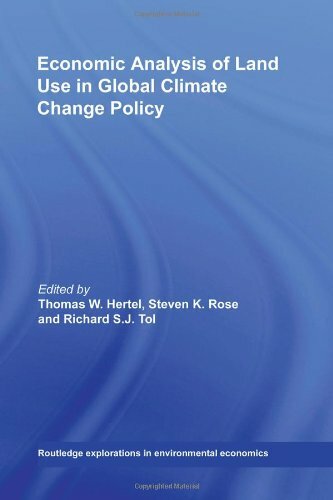 By offering synthesis and evaluation of a variety of different approaches to this challenging field of research, this book will serve as a key reference for future work in the economic analysis of land use and climate change policy. In October 2006, Nicholas Stern, one of the greatest economists and public intellectuals of our day, made headlines around the world with his report, which reviewed the costs and benefits of dealing with global warming. The world’s community has learned that it must act to mitigate global climate change, but until the Stern Review, no one knew how much it would cost, and how to do it. This is the best book on climate change that I have ever read. It is concise, well-informed and provides a substantial amount of information in a short space. For example, I have read entire books on why people have a difficult time accepting the fact that we must address climate change. Stern explains this in a few lines: People (especially people running companies with large amounts of money at stake) don't want to have to change their behaviors. Instead, they use certain tactics to try to deny what has been proven scientifically beyond a doubt. He cites the examples of tobacco causing lung cancer and HIV causing AIDS as similar episodes of mass denial, and springing from the same causes: complacency and fear. An expert in risk management, he describes the current threat of climate change as the greatest market failure the world has seen. And he knows how to fix it. Stern suggests that the economic growth of developing nations and the best response to climate change are inextricably linked, and makes a very good case for his opinion. He discusses the coming demographics changes, and the impact these changes will have on world trade, even without climate change. He outlines very concrete changes that we can make on a global scale - the only way that any method of addressing climate change will be successful, he claims, and I agree. Stern approaches climate change from an economist's perspective, and this is refreshing because economists see the world differently from most other scientists. To them, trade is *always* better than a zero-sum gain. If both parties do not come away from a trade better off than they were when they went into it, the trade does not happen. It is this fundamentally pragmatic and yet optimistic approach that makes this book such a joy to read. It is not all doom and gloom like some books about climate change, it does not tell us that the sky is falling while offering no respite. 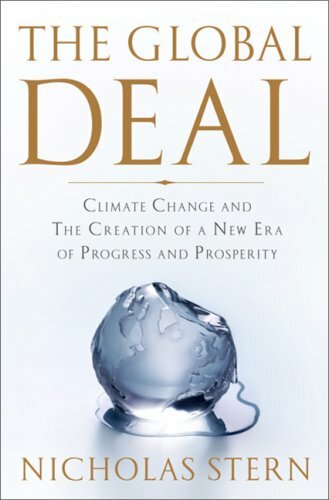 "The Global Deal" provides practical, implementable solutions for reducing climate change, and does so from an economist's perspective, with an underlying faith in the ability of human beings to develop good, broad policy that guides, but does not micromanage market interactions. It embraces the economist's belief that, with the assurance of a fair market, free trade tends to make life better for society as a whole, and that includes the well-being of our children and their children, and all other future generations. Some reviewers have mentioned that the book is dryly written, and to some extent I agree, but the material is so profoundly important that it really requires the kind of solemn passion that Stern displays. I believe that in retrospect, people will agree that Stern's message of hope and duty is worth listening to. In any case, I am sure that "The Global Deal" will be considered one of the two or three most important books written in the 21st century. Narrated by James Adams, who reads with the gentlemanly and precise accent of a British lord, which in fact, Stern is. His full title is Sir Nicholas Herbert Stern, Baron of Brentford, Kt. Kinda cool! It is in a way hard to listen to the many CD's if you're not an economist by training. But there is a lot to learn! The reading sounds a bit "dry" but I suppose that's the nature of such an approach. I enjoy learning this economist's view step by step and I feel that market functioning is very well explained to the uninitiated person. Nevertheless, it takes some patience to work oneself through all the chapters/CD's. On the other hand, we cannot handle climate change issues without assessing the opportunities of the market to implement effective strategies. Stern provides a good overview of the basic issues of global climate change policy.His exposition is geared to a reader with little knowledge of the subject, and for those who have a strong need to know these things the book is very useful.The most interesting and thought provoking section is on discount rates for benefits and costs for future generations:is there any moral justification for valuing the welfare of future generations less than our own?This and other economic questions are dealt with clearly.If there is a fault with the book it is Stern's dry and boring style.There is a lack of humor, of engaging anecdote, or any commentary on man's foibles. The tone is unrelentingly serious and prescriptive.This is a good basic textbook and guide, but it is not a great book. From the author of the Stern Report chronicling the threat of global warming and the cost of waiting decades to address it comes this well-done analysis of climate change, its causes, the threat it poses, and what we need to be doing--urgently--to address it. Stern calls global warming history's greatest "market failure" as we have failed to build into the price of carbon-based fuels their true cost for the future of our planet. He goes on to show the expected impacts of sea level rise (1 meter rise=displacement of 150 million Asians); the true culprits (China is out-CO2'ing us now, but in the past century the US emitted 50 times more CO2 than China: 290 billion tons v. 5.4 bt); and what we need to do about it (cut back on meat-based diets; stop subsidies for fossil fuels; halt deforestation; pay for the impact of climate change on the world's poor; quintuple spending on R&D for alternative energy options). Call to action: a 4-5 degree increase in global average temperature will lead to a "radical transformation of the world we know," rewriting the physical geography of the planet. Mr. Stern frequently uses the word "should". This is less a book of what will happen or how to make it happen so much as a book of what "should" happen. Most of what "should" happen are vague expectations and fantastic goals, the kind of rhetoric one could apply to any problem. Mr. Stern says effective climate change will depend on "clear and strong political leadership", developing "international markets", "credible action plans" on the part of developing countries, "substantial sums", "international collaboration" (which he admits is "unprecedented"), an "analysis of ethics", and finally a "global deal". 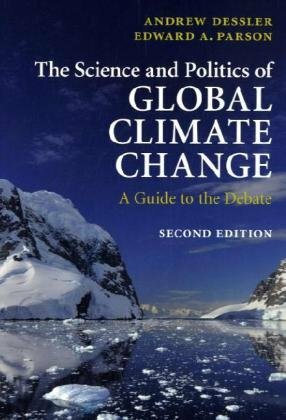 While one could argue that global warming is the first truly global crisis (discounting nuclear weapons), one is quick to recognize that humanity has a poor track record of reaching consensus on any other vital issue - not on forms of government, economics, race, poverty, religion, ethics, nationalism, or labor. Yet, in order to solve global warming, it will be necessary to approach solutions to all of the above simultaneously. Without realizing it, Mr. Stern has painted a pretty bleak picture of the future. 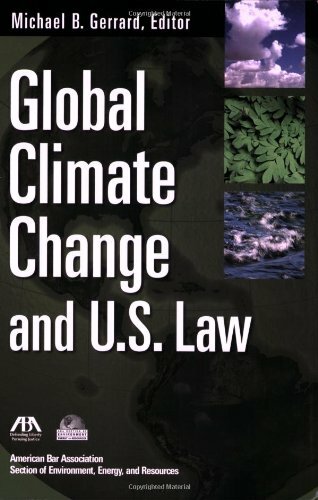 As a read on climate change, this book falls short. There is very little substance here. Having not yet waded through the Stern Report, I had expected a distilled version for mass consumption. Instead, it has been distilled to pure vapor. For all the "should"s in this book, I'll have to add one more: you should not read this book.